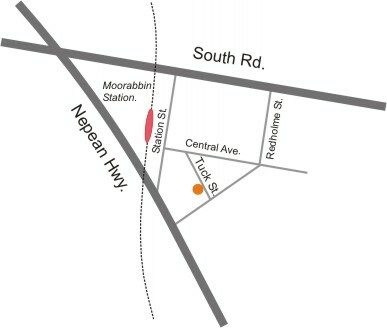 Word of Mouth is located at Suite 5, number 3 Tuck Street Moorabbin (see location map below). Please note that Tuck Street is one-way, and can only be entered from Central Avenue. There is plenty of 2 hour parking in the area, and if you choose to use public transport we are located less than 200 metres from Moorabbin Station (Frankston line). Chris has gained broad ranging employment experience working for a number of institutions including Victoria and Hong Kong Universities, Kangan Batman TAFE, the Centre for Cognitive Behaviour Therapy, and the Mental Health Research Institute. He has also completed voluntary work with Lifeline, Here for Life, and Interchange Southern Youth Disability Programme. He is currently a director of Word of Mouth, whilst concurrently working as a telephone counsellor for Crisis Support Services on the Suicide Help Line, a psychologist with the Melbourne Cognitive Behaviour Therapy Centre, and a psychologist with the Epworth Hospital in their multidisciplinary chronic pain management programme. Chris has completed separate undergraduate degrees in Applied Science (Human Movement) and Arts (Psychology and Literature) including honours. He has also just completed a PhD exploring the management of anxiety. Over the past 10 years Chris has attained a range of certificates in Cognitive Behaviour Therapy, Rational Emotive Behavioral Therapy, Positive Parenting, business management and more recently Acceptance and Commitment Therapy. He has completed specialist training in child and adolescent therapy, couples therapy, obsessive compulsive disorders, family therapy, post-traumatic stress disorders, chronic pain management, rational parenting, depression, and anger management. Chris has specific interests in working with people suffering from anxiety related disorders, chronic pain and psychosis. Aside from studies and employment, Chris was crowned National Freestyle Skiing Champion in 1991, and continues to actively participate in a range of sports.